My client owned a rental property behind Don Quijote which had previously been listed and sat unsold for months. Having gone through a few other Realtors who tried to sell their condo, they were beginning to lose hope. The latest agent had even recommended they reduce the price and sell the condo below market value. Instead, they turned to me and asked if I would take a look and give my opinion. Even in a Seller’s market, where listings come and go in a matter of days, marketing can mean the difference between an efficient sale and a stale one. In this case, the previous Realtors had done very minimal marketing (a few iPhone photos, no staging), had not held an open house, and had not personally been showing the property to potential Buyers. Marketing is about giving the property an opportunity to be showcased, and they were not showcasing it at all. After reviewing my marketing plan with my client, we implemented several strategies to effectively market their investment. 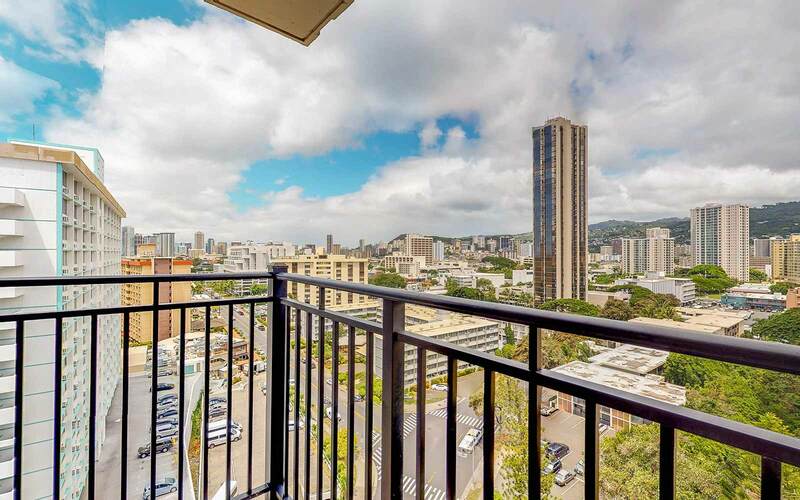 For the overall public, I had the entire property staged and took professional photos of the condo and building, highlighting the best parts of living at Kapiolani Towers. For mobile and out-of-town buyers, I created a virtual 3D 360º online tour and custom website that was linked to every website that listed the property (HiCentral, Zillow, Trulia, etc.). And finally, for interested buyers who wanted to see the property in person, I held a public open house and hosted private showings for follow-ups. After convincing my client to actually list it for 10% higher than previous agents (the opposite of advice they got before), and one week on the market, we secured a buyer and were on our way to closing. My client was extremely happy, and we were able to maximize their investment for the future!